8 oz. Mom's Corn, 8 oz. Assorted Toffee, 4 oz. 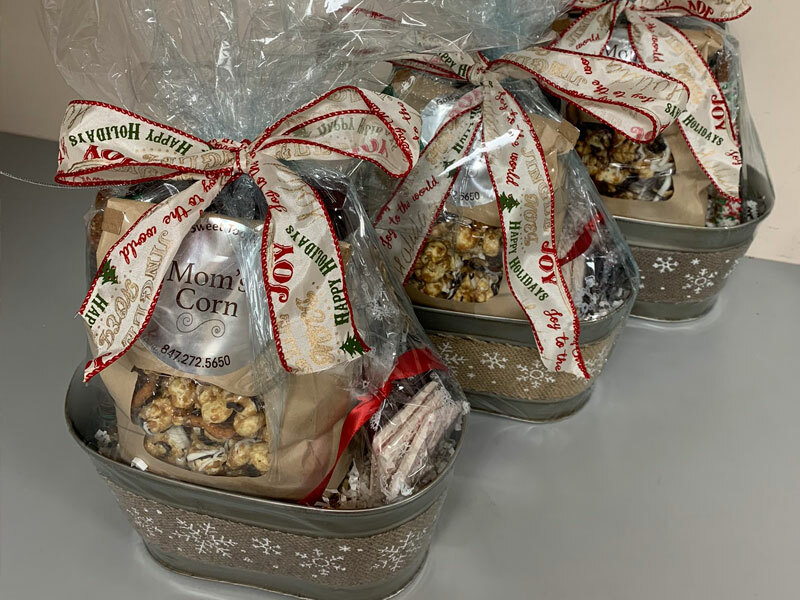 Bark, 2 Pretzels or 2 Oreos all packed in a basket and wrapped with celophane wrap with ribbon tie.